Here’s an English worksheet that will help the kids learn more about themselves. Featuring Christmas-related questions, the creative writing worksheet will help kids answer objective questions and find out more about their like and dislike for the popular festival. 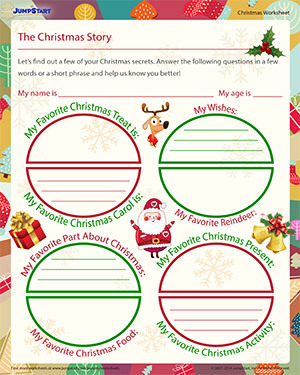 Download the printable and have some Christmas fun!